It's possible that there's a bread product that I love more than biscuits. It's just that none come to my mind at the moment. 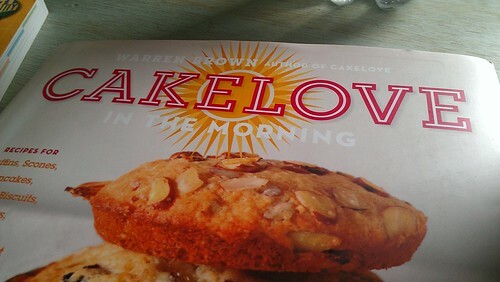 As a lover and (in my opinion, connaisseur) of the biscuit, I was delighted to see a recipe for them in Warren Brown's new book, CakeLove in the Morning: Recipes for Muffins, Scones, Pancakes, Waffles, Biscuits, Frittatas, and Other Breakfast Treats . Now, you know I love Warren Brown and his cakes. And this is a rather pretty new book. 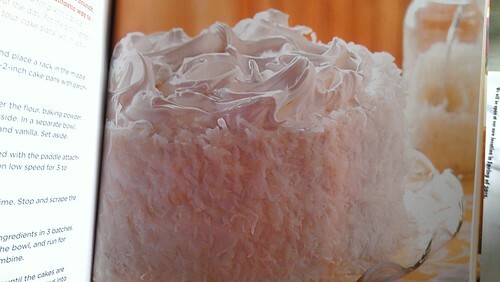 For instance, I love the idea that this cake could be considered a brunch food, and can't stop looking at it. But back to the biscuits. As for Warren's recipe: I love his biscuits. When I baked them I didn't get incredible rise on them, but I am going to warrant a guess that this is largely because I was baking at a high altitude (currently in Santa Fe!). Nonetheless, these biscuits are fo' sho' very tasty. Nice and buttery and flavorful. A nice canvas for flavored butters, sugar butter topping, or a great base for shortcake. Preheat the oven to 375 degrees F and place a rack in the middle position. Line two baking sheets with parchment paper. In the bowl of a stand mixer fitted with the paddle attachment, combein the flour, sugar, cream of tartar, baking soda, and salt. Mix for 30 seconds on low speed. Cut the cold butter into small pieces and add them to the flour mixture with the mixer on low speed. Continue mixing until the mixture holds together when pinched, about 30 seconds. Drizzle in the half and half until the dough is a wet, slightly pasty mass. You may not need all the liquid. Turn out the dough on to a floured work surface. Dust your hands well with flour. 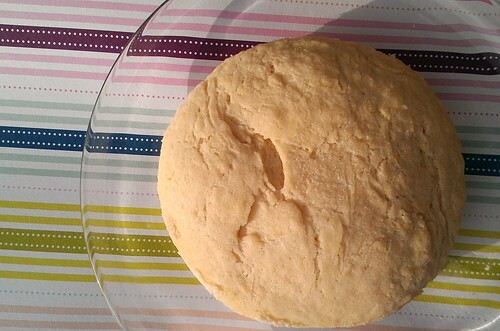 Lightly knead by hand and shape the dough into a disc 1/2 to 3/4 inches thick. 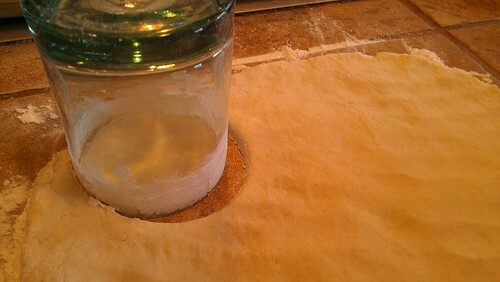 With a 2 to 3 inch biscuit cutter (I used the floured rim of a drinking glass), cut as many biscuits as the dough will provide. Gently re-form any scraps into biscuits without cutting. Brish the tops with melted butter, if desired (do it! 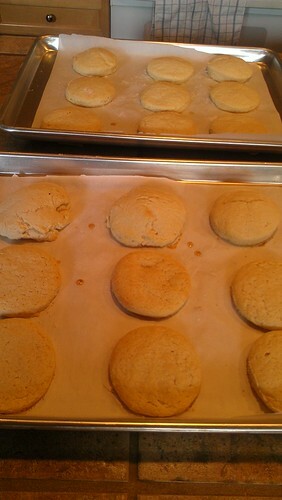 ), and place them on the prepared baking sheets. 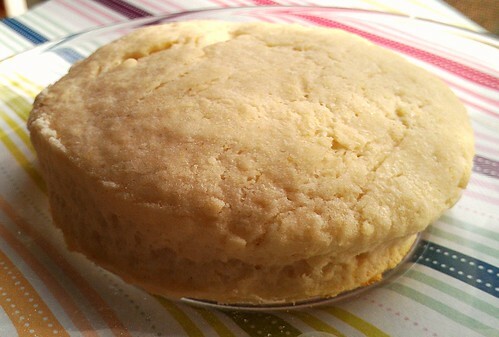 Bake for 12 to 15 minutes, or until the biscuits are lightly browned on the bottom. Allow to cool for 5 minutes on the baking sheet before serving. Store in an airtight container and reheat in the toaster oven (or in the oven).